When I launched my “Of the Outdoors” column in 1980, I was fortunate to know and work with some of the most highly respected and influential outdoor communicators in the business. These columns dedicated to a good friend of all outdoorsmen and women, Tony Dean, the first of several highlighting the careers of these Legends in the Outdoor. Association of Great Lakes Outdoor Writers (AGLOW), one of the larger outdoor writer’s organizations in North America. My first AGLOW annual conference was one held in my hometown Watertown, South Dakota where I had the opportunity to meet some of these talented outdoor communicators. Watertown is a phenomenal place to come from as well as an excellent location to hold a conference as it is an outdoorsmen’s paradise. Some of those attending were individuals, whose columns I read in publication like Field & Stream, Outdoor life and In Fisherman, with several of the attendees that I couldn’t wait to meet, as they were not only writers; they had outdoor radio and television shows. One of these was Tony Dean, from Pierre, South Dakota, I had read many of his columns, as well as watched numerous of his “Tony Dean Outdoors” television shows. As a “new be”, unknown in the business, I was apprehensive about introducing myself to Tony, but when I did, pleasantly surprised as he was very personable and easy to talk with. We hit it off right away and down the road as I attended several of his many fishing seminars, we became close friends. Tony was willing to share his knowledge of the outdoors with everyone and after spending time and talking with Tony through the years; he asked if I would be interested in joining him, doing one of my seminars in my hometown, Watertown, South Dakota. Of course, I jumped at the opportunity, not only that the event was in my hometown, but also, I had an opportunity to be involved with one of my heroes Tony Dean, a legend in the outdoors. Hundreds of anglers attended his seminars as well as others he gave, as at the time, his “Tony Dean Outdoors” was one of the popular outdoor televisions shows, reaching over 200,000 people each week. These along with his “Dakota Backroads” radio shows were very popular in the upper Midwest. Any time you spent time with Tony, it was a learning opportunity, as he was knowledgeable about the outdoors and conservation issues. The hours spent together with him and truly enjoyed having several opportunities to hunt with him during the South Dakota Governor’s Hunt where he was one of the guides as well as filming several hunting shows with him. Outdoor communicator, Larry Myhre, Sioux City, Iowa another close friend of Tonys and I spent many hours in the boat fishing, at seminars and other events with him as well as being guides for several of his “On the Water” fishing schools. When I was looking at beginning my outdoor television career, we headed for Pierre to talk with Tony about getting into television. We spent several hours with him where he gave us suggestions and recommendations on equipment and areas where the show might air. We spent time salmon fishing with Tony on Oahe, when he was working on one of his books, dealing with salmon fishing on the big reservoir. Tony liked the name, asking Larry’s permission using the name Salmon Mania on his book, Larry allowed the use of the name and Larry who was also the editor of the Sioux City Journal, edited the book before it went to press. His given name was Anthony DeChandt, originally from Mandan, North Dakota; coming to Pierre, to manage the local KCCR radio station in the late 60’s. His radio name was Tony Dean and from that point on he was Tony Dean to all his fans and friends, with Pierre his home until his death from complications from an appendectomy on October 19, 2008. He was an accomplished outdoor writer with his columns appearing in numerous publications including In-Fisherman, Fishing Facts, Dakota Outdoors, Minnesota Outdoor News, and Dakota Country magazines. He belonged to numerous organizations including 15 wildlife and conservation organizations. Tony served on several local, regional and national boards that included the Izaak Walton league of America (IWLA) Board of Directors until his death in 2008 and their Honorary National President of the IWLA. Other boards he served on were the Board of Directors of the Outdoor Writers Association of America (OWAA) 2004-2007, Honorary Chair of the annual Confidence Learning Center Fishing Classic 2001 & 2002, and board member of Fishing Has No Boundaries and serving as the chairperson of Sportsmen for Obama. One to never back down from something he believed in, he voiced his opinion, especially on conservation and those issues affecting sportsman, contributing regularly on conservation issues in his columns on the Fargo Forum and in the Sioux Falls Argus Leader. As I mentioned earlier, Tony, originally from North Dakota and elected to North Dakota Fishing Hall of Fame in 1982, the National Freshwater Fishing Hall of Fame in 1994 and the South Dakota Sports Hall of Fame on 2007. 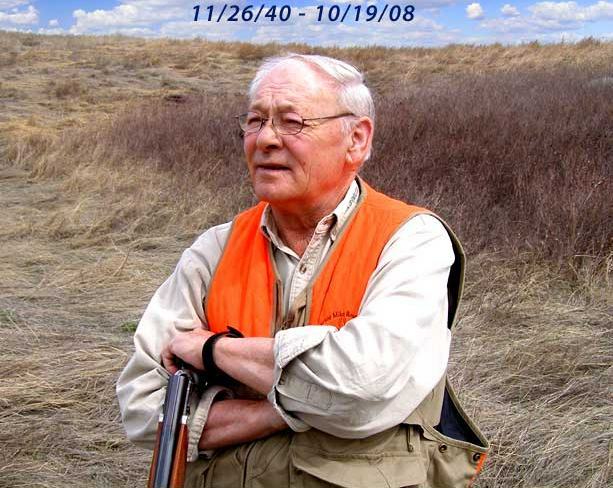 He was outstanding writer, communicator and broadcaster and the recipient of over 160 regional and national awards, receiving the South Dakota Conservationist of the Year awards twice and others from the National Wildlife Federation and the South Dakota Wildlife Society. As an avid waterfowler, with many of his columns and shows dealing with waterfowl and as such, he received the Ducks Unlimited Communications Award along with other awards from the Prairie Pothole Joint Venture Communications as well as an award from the North American Waterfowl Management Plan. In 1995, he received a special recognition award from the North Dakota Chapter of the Wildlife Society and the following year, 1996; received the Communications Award from the North American Waterfowl Management Plan. Tony not only dealt with outdoor topics, but many of those dealing with conservation and sportsmen. Tony is no longer with us, but not forgotten, as those close to Dean and his work, indicated his memory lives on with the Tony Dean’s Acres Memorial Fund committee formed in 2009. Collaborating with the South Dakota Parks and Wildlife foundation, they began accepting donations to purchase land dedicated to public hunting and fishing access. The committee then put together a group of partners which included; Duck Unlimited, National Wild Turkey Federation, Pheasants Forever, The Nature Conservancy, Lake County Pro Pheasants, South Dakota Department of Game & Parks, South Dakota Parks and Wildlife Foundation and the U.S. Fish & Wildlife Service all of which contributed to the fund. Tony championed wetland and grassland conservation issues on his award-winning television show, radio program and in his columns in numerous publications, drawing attention to these important issues. John Cooper, co-chairman of the fundraising committee and Dean’s friend indicated that as of 2018, the Memorial Fund with the help of it partners, others and a matching funds from the North American wetlands Conservation act in both land and dollars had raised over $2.5 million. These funds used to preserve those types of land and a place for individuals to understand these issues and to educate others about the outdoors, wetlands and grasslands. This fund focuses on purchasing round-out acres, adding them to existing state owned Game Production Areas and Federal Waterfowl Production Areas, with over 6,172 new public land acres added to 13 different Game Production Areas and Federal Waterfowl Production Areas in 13 South Dakota counties. These acres will be forever enhanced for wildlife management and public access because of the Tony Dean Acres acquisition efforts. Tony’s wife Dar and family collaborated with the South Dakota Parks and Wildlife Foundation to create the Tony & Dar Dean Outdoor Education Endowment Fund to continue with their passion, teaching South Dakota families and youth about conservation and to provide the opportunity to experience South Dakota’s fish, wildlife and natural resource heritage. This fund provides grants helping South Dakota based Schools, Scout Groups and Clubs, Service organizations, Conservation Groups, volunteers and individuals with travel for students or groups to educational opportunities and events, providing supplies as well as materials to promote outdoor knowledge and skills to pay instructors or teachers who lead/organize outdoor knowledge and participation among S.D. families and youth, to create new activities and events that increase outdoor knowledge and skills and to support curriculum and volunteers at the South Dakota (Game Fish & Parks) Outdoor Campus facilities in Sioux Falls and Rapid City applicable to outdoor education events for youth and families. These things may be just the beginning of Tony’s legacy, as he was involved in so many outdoor, conservation issues during his lifetime, which will not be forgotten in South Dakota and in the outdoors. With his passing, we not only lost a good friend, who dedicated his life to what he believed in, that the average person would be able to enjoy the great outdoors, one who will now leave a legacy benefiting all those who enjoy the outdoors. Gary Howey,Hartington, Neb.Neb. is a former tournament angler, fishing & hunting guide, an award winning writer, producer, photographer and broadcaster, a recent inductee into the “National Freshwater Fishing Hall of Fame” in 2017. 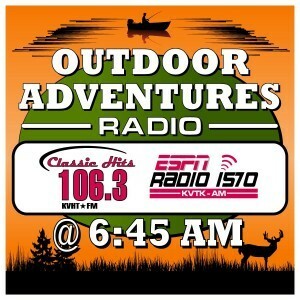 Howey is also the Producer-Co-Host of the Outdoorsmen Adventures television series and Outdoor Adventures radio. If you are looking for more outdoor information, check out garyhoweysoutdoors.com, like Gary Howey’s Facebook or watch his shows on www.MyOutdoorTV.com.